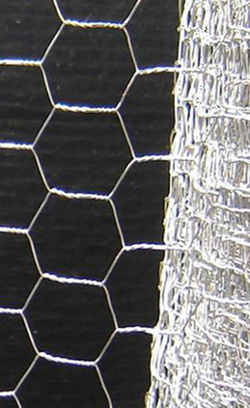 Galvanized chicken wire that is ideal for a variety of tasks. Great for building chicken runs, protecting and supporting plants, keeping pets away from protected areas of your garden and much, much more. Available in a choice of widths on a 10 metre roll with a 13mm gauge you are certain to find many uses for this handy product.